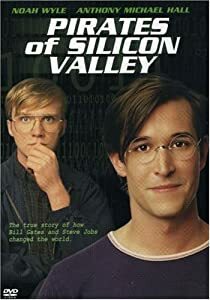 I watched “Pirates of Silicon Valley” again. Last time I watched it was 7 years ago(before the iPhone existed! ), I wrote a short review of the movie back then. The years have changed the way I look at these two legends of the IT industry. Their choices and work has had a fair bias over my opinions about them, and in the case of Steve Jobs, death has added a fair amount of bias too. But what I realize is that in this time I too have changed significantly, my understanding of art, creation, business and what it takes to be a leader has morphed and have been given a bit of reality check. While its indisputable what effect their choices have had on the world, its still highly arguable about the ethical ramifications of making those choices. For most of my younger programming years I have looked at Bill Gates as the bad guy trying hard to make as much money (as sneakily) as possible and Steve Jobs was this hero that believed in quality and beauty with a passion. More recently the roles have swapped, Bill Gates is now an amazing philanthropist who has dedicated his life (and life earnings) to helping other humans and Apple is this big corporation that now even has your fingerprints, not to mention fueling this trend of waste, whose ramifications will only be evident in the decades to come. This entry was posted in Blogging, Movies, Thoughts and tagged Apple, Bill Gates, history, iPhone, Pirates of Silicon Valley, review, Steve Job. Bookmark the permalink.